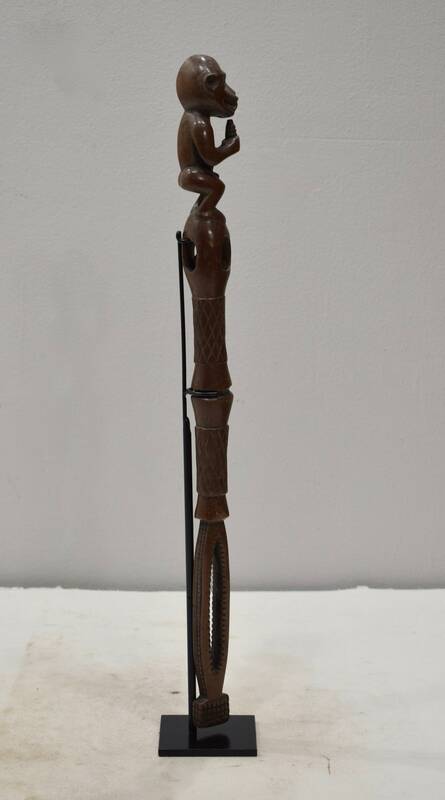 This is a beautifully carved wood Monkey Figure Staff is from the Baule tribe of the Ivory Coast. These staffs were used by messengers to show that they are sent by authority. 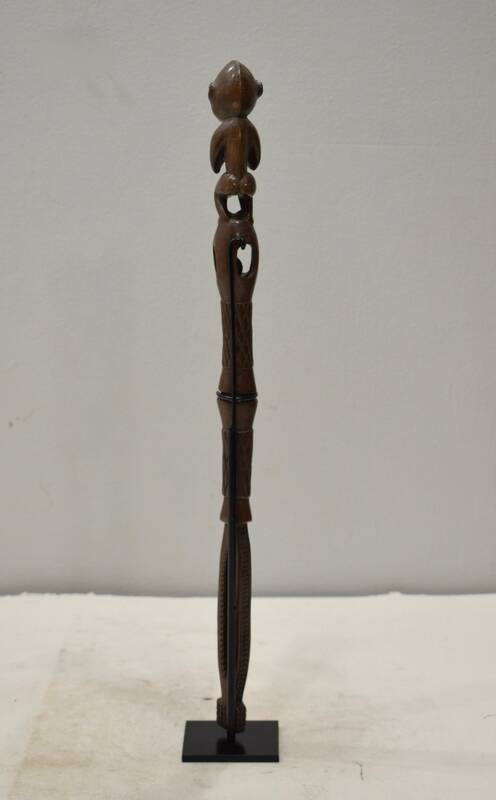 Staffs were inspired by umbrella finials, and like them they carry a wide range of proverbial and symbolic messages. The staffs are carefully carved and then they can be painted, gilded or just left in plain wood. 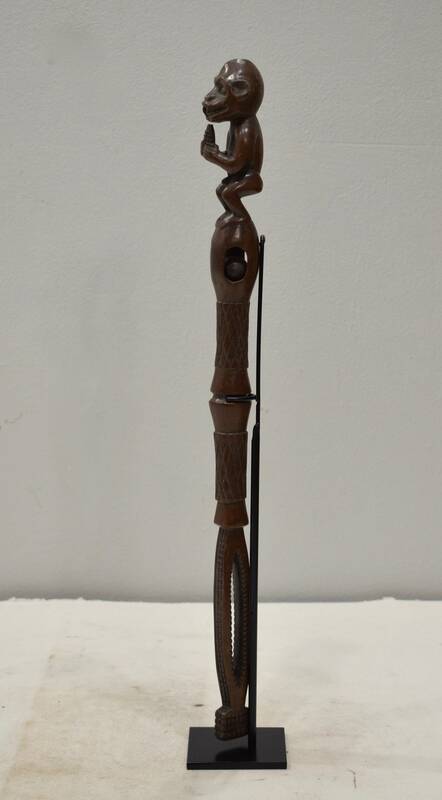 Fly whisks and staffs such as this were prestige objects owned by a Baule village chief and notable. During public ceremonies whisks and staffs are brought out for display, a symbol of prestige. 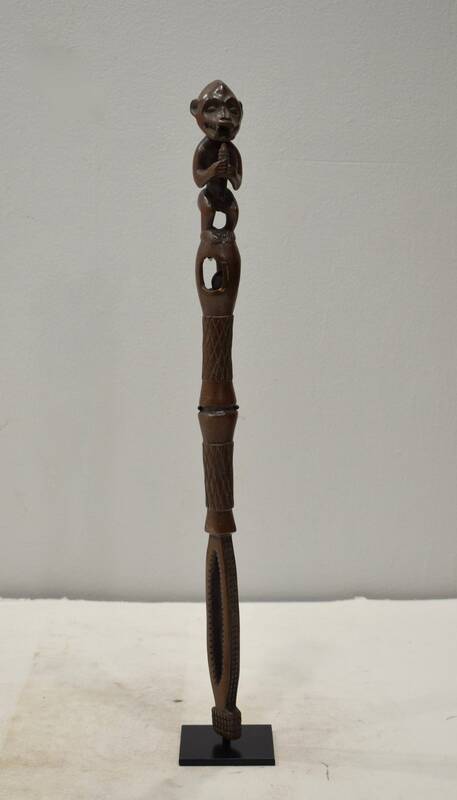 This staff is intricately carved in sections showing the power of the authority using it. This would be lovely as home decor or a beautiful gift.